A person's complexion says a lot about them. When we see people whose complexions glow, whose skin is flawless and dewy, we know they are on to something! Whether you have a fair or pale complexion, a dark complexion, or a complexion somewhere in between, you can improve your face, and you can look your best. Reddish skin, breakouts, oily skin, dull, sallow and pale complexions - these all say that something is amiss. A person's complexion is influenced by many different factors, including age, ethnicity, health challenges - even climate. But some basics affect everyone’s complexion, whatever other factors come into play. 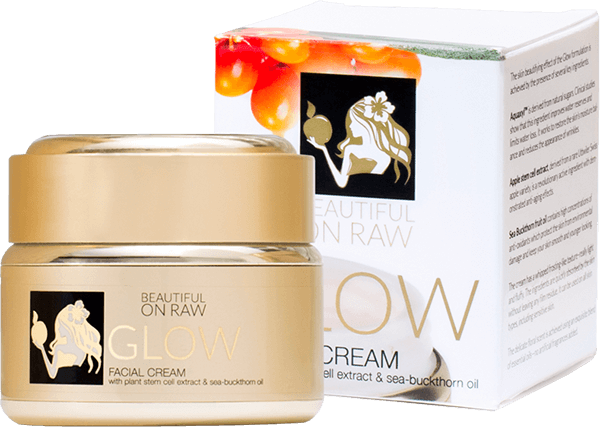 These underlying basics show up in a myriad ways, producing either a perfect, smooth complexion or a troubled one. Among the things that can detract from your best possible face: stress ... smoking ... medications ... air pollution … and, of course, the wrong cosmetics. At the heart of your complexion - bad complexion or good, I promise you - are two issues ... dehydration ... and diet. Everything shows up on your face. But much that determines your complexion type is within your control. It’s often a matter of lifestyle. Truly, the way you live shows on your face. Perhaps the most powerful among all these factors affecting your complexion ... the way you eat. What you eat, how you eat, even when you eat. Diets nutritionally deficient or lacking in water content can wreak havoc on your skin. Consider ... your skin sheds cells every day, and these skin cells get replaced by new ones. So what are these new cells are comprised of? Answer: the very food and drink you consume. 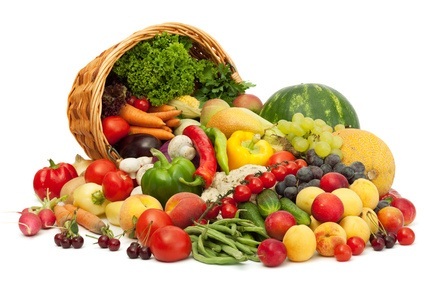 If you are after a vibrant complexion, radiating health and happiness, be sure to eat plenty of fresh, whole fruits and vegetables - especially those containing the color - imparting substances known as carotenoids. 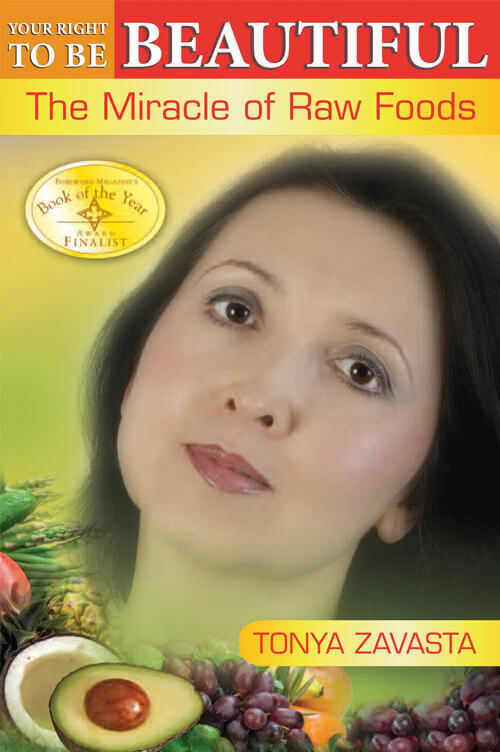 My first book "Your Right to Be Beautiful: The Miracle of Raw Foods" is a complete beauty handbook explaining in detail how every aspect of your dietary practice will affect your looks, your beauty, your lovely complexion. Whatever your current complexion, your ethnic heritage, your age, or any other factor, you'll find in my book a bundle of easy-to-follow tips that will ensure a much improved appearance - if you adhere to them consistently. These foundational beauty practices will deliver the most radiant look possible for your particular skin type. 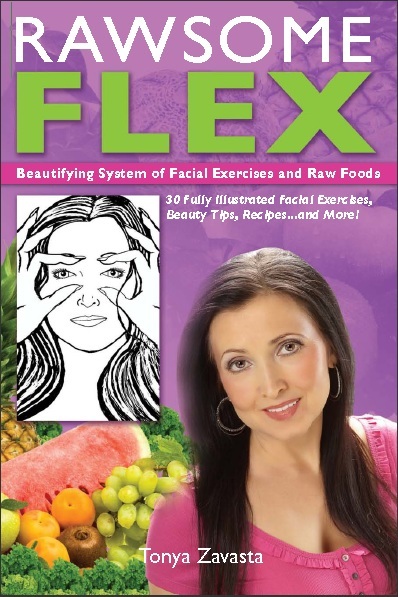 Along with the stunning results a proper raw food diet has on your skin’s condition and health, this book offers plenty of other practical solutions for transforming your face, your complexion from mediocre to amazing, bringing out your natural beauty from within! 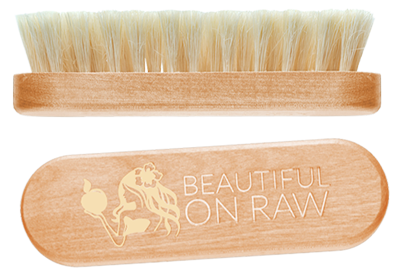 One well kept secret for a flawless, clear complexion is the daily practice of facial dry brushing. It may just be the missing piece of the puzzle for you. Just a couple of minutes a day gives startling results over the long term. Facial dry brushing is one of my trademark practices - I never miss a single day. A related practice is body brushing. Body dry brushing can, when practiced consistently, improve circulation of the blood and lymph. Do it well, and you’ll help your skin become both softer and tighter. You’ll diminish your cellulite “dimples,” boost your nervous and endocrine systems, and improve elimination through your skin pores, which translates to expelling toxins better and faster. I now offer on my site a body brush with bristles made from Tampico for just the right tension for bodily exfoliation. Another key to a healthy complexion is to avoid using the wrong products for your skin type. People with sensitive and pale or fair complexions often find their skin irritated or inflamed by harsh ingredients, contaminants or allergens, while more mature skin can sometimes tend to become dry. Our products are formulated specifically for all skin types and gentle enough for daily use. For more information, watch my YouTube videos. Adequate sunlight is crucial for a healthy, natural complexion. Yet overexposure is never a good thing - for any complexion type. Be sure to get about 30 minutes a day of gentle sunshine. But do protect your delicate skin from the heat and rays of the midday sun by wearing a hat or staying indoors. A little is good, but a lot isn’t better, and overexposure to the sun will lead to an aged complexion and contribute to age spots later on. An ounce of prevention is worth a pound of cure - sometimes a ton. Exercises for the face? Really? ... Yes! Exercise might at first seem irrelevant to a fabulous face. But the truth is: A daily routine of simple facial exercises can help you put your best face forward. Facial exercise will contribute to improved circulation and underlying muscle tone, giving your skin a youthful boost, tightening sagging jowls, helping to ward off wrinkles and creases. Along with a healthy raw food diet and all these beneficial practices listed above, you may want to enlist the help of my own Secret Service - the Violet Ray. 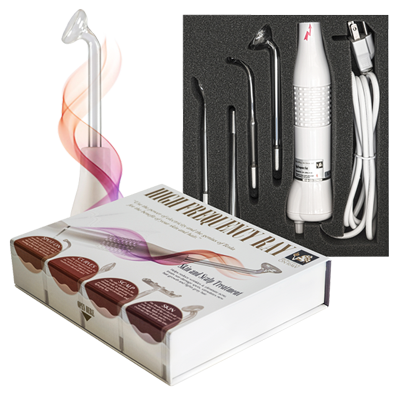 It is the silent servant of many a beauty-savvy woman around the world. Make it an integral part of your beauty regimen and can be an integral part of your daily beauty routine for a flawless complexion, a fabulous face, and the best possible you! For more information, be sure to visit my collection of blog articles with tips, products, and information on obtaining a beautiful, glowing complexion. What are the Best Alkaline Foods? I owe these positive changes to you!